This is a great story of “paying it forward”. Last year, with the help of the Gleason Initiative Foundation, we were able to send AJ Roiss, his wife Missy Lawson and AJ’s stepdad, Dennis Hale to an Alabama/Michigan game. To give back, these guys sent three sets of tickets to some Chicago Cubs games for ALS patients to enjoy. 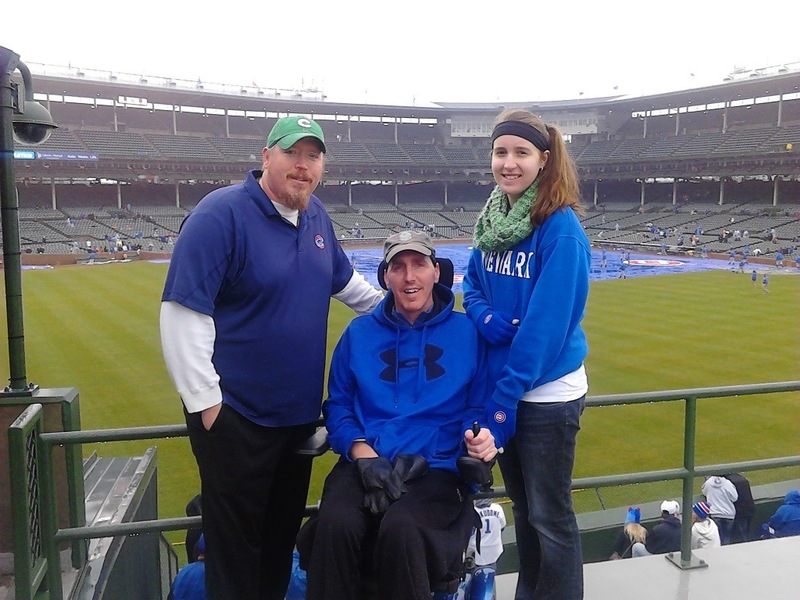 We contacted the Chicago ALS association and they helped find a few families to use the tickets. The first is the Mitchell Family. Much Love and Thanks to these guys. We’re stoked to have you as awesome members of Team Gleason!! We’ll post pictures from the next game soon. I can’t find a contact link on this site but want to invite Michel to a spousal caregiver support group – http://www.wellspouse.org. I hope she will see this.